Fitting though it was that David Bowie’s life and music should be honoured at the Proms, I remain unconvinced that rock music played by classically trained musicians is an improvement on guitars, bass and drums played through 100-watt amps by men and women who play gigs and not give recitals. While the enthusiasm, devotion and skills of the Stargaze Ensemble and their leader/conductor André De Ridder could in no way be faulted, these violinists and brass players seemed somehow unable to inject it with anything like the punch that makes rock sell by the bucketload and, conversely, albums of classical music struggle to reach five figures. On the TV the Royal Albert Hall was dark and gloomy, with Ridder’s announcements formal and painstakingly comprehensive, all of which injected an atmosphere of melancholy worthiness that appeared to me a touch pretentious. The evening opened with ‘Warszawa’, the moody instrumental in an arrangement not unlike Bowie’s original on Low, an appropriate start with its slightly discordant undercurrent and suggestion of impending doom. A xylophone link led to an avant-garde passage that segued into ‘Station To Station’ sung by sober-suited Neil Hannon of Divine Comedy, followed by ‘The Man Who Sold The World’ by an earnest chap with his nylon stringed guitar worn very high, wherein Mick Ronson’s lean guitar lines were adapted for violins and French horn, the whole piece closing with an ethereal choral coda. ‘This Is Not America’, another Hannon vocal, was enlivened by a rap interlude by Elf Kid, a Lewisham grime man. This was followed by Marc Almond’s expressive reading of ‘Life On Mars’, his arms-wide-open dramatics making up for the occasional gratingly off-pitch vocal. He would redeem himself later with ‘Starman’. This was by no means an all-male affair however. 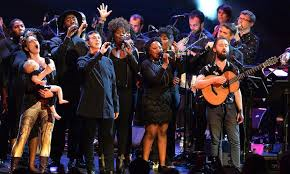 The females in Stargaze assumed the lion’s share of the backing and Anna Calvi (often with Jherek Bischoff on bass), Amanda Palmer (with Fender Telecaster and, at the close, babe in arms) and Laura Mvula (with added soul), all took lead or shared lead vocals as the evening progressed. Mvula’s take on ‘Fame’ finally injected a bit of tempo into the evening as the ensemble achieved the difficult feat of getting foot-tappingly funky with instruments designed for interpreting Mozart and Beethoven. The Blackstar trilogy of ‘Girl Loves Me’, ‘I Can’t Give Everything Away’ and ‘Blackstar’ itself formed the concert’s poignant centrepiece, Palmer and Calvi topped with what looked like crowns of thorns, the music from Bowie’s final album lending itself perfectly to the evening’s heart-rending mood. After that it was a bit of a relief to recognise Robert Fripp’s sinewy guitar motif of ‘Heroes’ and get back into the groove as the audience got behind Palmer’s rendition of Bowie’s most loved song. Opera singer Phillipe Jarousky, a counter tenor, surprised us all with his surprising high-pitched vocal on ‘Always Crashing In The Same Car’, and Marc Almond brought back a bit of oomph with ‘Starman’ – at one point he yelled ‘Let’s take it up now’, surely a first at the Proms – and I probably wasn’t alone in wondering if he’d pull off the song’s famous octave leaps. He did, just. It was left to John Cale to bring the evening to a close. Wearing a calf-length dress of the kind work by middle-aged ladies in drawing room plays, his white hair nicely awry, he was in fine Velvety voice, his version of ‘Valentine’s Day, sounding a bit like Tom Waits, while the full-on arrangement of ‘Sorrow’ – an odd choice though Bowie covered the Mersey’s hit on Pin Ups, of course – made it sound as if a real rock band had stumbled uninvited into the RAH. Cale’s final offering was a rather dirge-like reading of ‘Space Oddity’, his deep Welsh tones lending a degree of gravitas to the song that contrasted with Bowie’s more vulnerable interpretation of the plight of Major Tom. To close the evening Marc Almond led the ensemble through ‘After All’, and finally the Stargaze players took over for an instrumental version of ‘Let’s Dance’ for which the audience, clearly delighted by what they had seen and head, contributed vocals. I can’t help wondering what David would have made of it, though. Flattered maybe, but probably disappointed that no one who’d actually worked with him – Eno maybe – hadn’t taken part, and bemused by its earnestness. Six and a half out of ten. 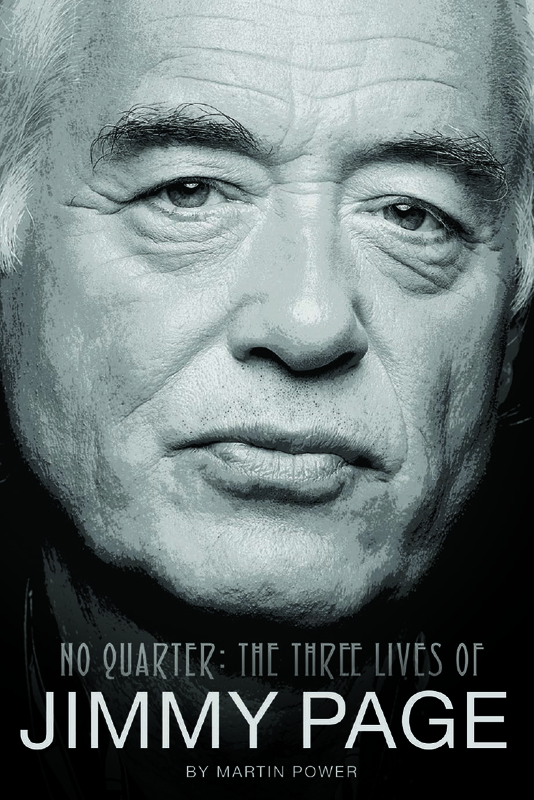 For the last few days I have been attending to final proofs of the forthcoming book No Quarter: The Three Lives Of Jimmy Page by Martin Power that Omnibus Press will publish in September. 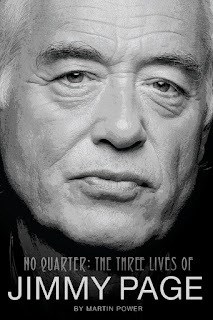 The book is nearing completion, all 704 pages of it, and I have referred to it before on Just Backdated in a post about two instances of Page’s impressive – but largely unheralded – work as a session musician before he joined the Yardbirds and subsequently assembled Led Zeppelin. The extract below focuses on the first time Page and singer Robert Plant spent any time in each other’s company. It is July of 1968. Alerted to Plant’s talent by Terry Reid, Page and Zeppelin manager Peter Grant visit Birmingham to see him sing with a group called Obbstweedle and, suitably impressed, Page invites Plant down to spend a three days with him at his house in Pangbourne. Regular visitors to Just Backdated will have noticed that I no longer write iPod ‘Shuffle’ posts. This is because I no longer commute regularly and don’t really shuffle the songs on my iPod any more, just select what I want to hear instead. But the fragility of digitalised modern music was brought home to me about four weeks ago when, against my better judgement, I downloaded a new version of iTunes on to my laptop, in the process straining the relationship between the iPod and the laptop which necessitated a visit to the nearest Apple store to sort out. 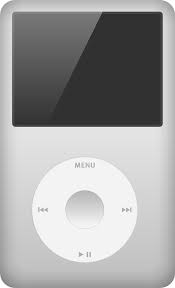 In the end it was but not before the iPod was reformatted to become compatible with the new version of iTunes, a process that for one heart-stopping moment caused me to imagine that all my music might have disappeared. It hadn’t – but I did have to synchronise the iPod again. To download all the music again, of course, would have taken months. The upshot of this rather stressful episode was that for reasons I can’t understand some music has disappeared. On the last iPodding post here, on December 21 last, I refer to 16,635 songs but my iPod now tells me it contains 16,210, so 445 songs have somehow gone astray. Also, the figure of 16,635 ought now to be higher to take into account new songs (and there’s probably over 300) acquired this year. I have no real idea what the 445 missing songs are, and I suspect more have disappeared because the recent stuff (which I can remember) seems to be all present and correct. One track whose absence I did notice – because I’d played it a lot around the time of his death – was the David Bowie Soulwax mash up, lasting slightly over an hour. I didn’t notice it had gone missing until I tried to play it on my iPod shortly after downloading the new format, and when I discovered it wasn’t there I checked on the laptop and it wasn’t there either. Fortunately I’d saved it elsewhere, a reflection on how much I love this homage to the great man, so I was able to reinstate it easily. As for the rest, I’ll only find out what they are if I happen to look for something and can’t find it. There were two further side-effects to this: all the playlists I had compiled were deleted, which is easily remedied by making new ones, and the number of plays each of the 16,000+ songs had received was also lost. This meant I was no longer able to compile a list of my most played songs, as I did here on 26 June, 2014, when ‘Orphan Girl’ by Gillian Welch topped the list with 130 plays, followed by The Beatles’ ‘Don’t Let Me Down’ (126) and Welch again with ‘Make Me Down A Pallet On Your Floor’ (124). Although the list of plays on the iPod had disappeared into the ether, there was a list of most played on the laptop, however, but it was wildly different from its predecessor in that it consisted entirely of songs I’d bought from iTunes as opposed to CDs, and also bought fairly recently. The reason for this is that I had synchronised my iPhone with the laptop so as to be able to transfer this music to the iPod and the number of recent plays on the phone had been registered in the iTunes folder. Why older plays on the iPhone hadn’t registered is a another mystery, a case in point being the Under The Covers albums by Matthew Sweet and Susannah Hoffs, which I’ve listened to a lot. Since phone calls interrupt music and won’t therefore be missed, I often listen to music on the phone and not the iPod when on a train or strolling around a supermarket. It is these plays, concentrated over a limited number of albums, that have registered highly while iPod plays, which cover 100s of albums and, in any case, will only have registered during the past four weeks, are minuscule. But just for the hell of it, here’s how the ‘most played’ list looks today. The top six are all tracks from The War On Drugs’ album Lost In A Dream, number one ‘Under The Pressure’ with 69 plays. Ennio Morricone sneaks in at number seven with ‘Ecstasy Of Gold’, then Robert Plant with ‘Little Maggie’, then more War On Drugs and then Ravi Shankar since I find sitar music is a pleasing soundtrack to supermarket shopping. In fact, the entire top 50 consists of War On Drugs, songs from Plant’s Lullaby And.. The Ceaseless Roar album, sitar music by Shankar and Nikhil Banerjee, Morricone film music, John Fahey (I bought a Guitar Masters collection of his on line) and a girl trio called Applewood Road, which, like the Under The Covers albums, was recommended to me by old friend Richard Williams. The 26 June, 2014, list of most played songs took several years to compile insofar as it represented the length of time I’d owned my iPod ‘Classic’ (which, regrettably, Apple discontinued in September 2014). It will therefore take several more years to compile another representative one, by which time I might have traced the missing music or – more likely – this trusty iPod will have given up the ghost and – technology being what it is – all my music will have been transferred into an appliance the size of a pin head that has been implanted into my brain from which I can select or shuffle merely by thinking about it. 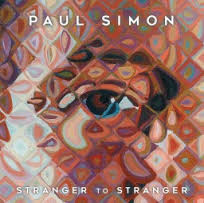 On his recently released album Stranger To Stranger Paul Simon addresses the problem of inequality in a wonderful new song called ‘Wristband’. Set to a brisk tempo, with prominent springy bass, busy percussion and a hint of South America, the song opens as a lament from a performer who has slipped out from the back of a venue for a smoke, only for the stage door to click shut behind him. Realising to his dismay that he isn’t wearing his back stage pass, his wristband, he must gain entry elsewhere, no easy challenge when faced with a 6’ 8’ doorman who doesn’t believe that he’s the leader of the band. So far so good, but this interesting, potentially comical, scenario is turned on its head in the final verse wherein the wristband of the title becomes an allegory for the disparity of opportunity that plagues life in the USA and, for that matter, the UK as the recent Brexit vote surely indicates. So it comes as a bit of a surprise that instead of concluding the story – whether or not the performer regains entry to the venue – Simon lowers his tone, drops the irony of the earlier verses and cooly shifts his focus to the riots, the homeless and the ‘towns that never get a wristband, kids who can’t afford the cool brand, whose anger is a shorthand for you can’t have a wristband’ and who as a result ‘can’t get through the door’. Simon rightly thinks highly of this new song for it is included twice on the record, the second time live, slightly sparser, the elastic bass even more prominent. His audience laughs at his predicament, only to be brought down to earth by the third verse and the realisation that there is much more to this song than the droll dilemma of an artist being locked out of his own gig. ‘Wristband’ is unquestionably the highlight of a characteristically thoughtful, well-crafted album by a master of his art who rarely, if ever, disappoints and who, now midway into his seventies, shows no sign whatsoever of flagging or resting of his laurels. He’s still pushing out new sounds and ideas. The first track ‘The Werewolf’ opens with what sounds like a spring being twanged and has a touch of rap about it, and ‘The Clock’, at 1.03 perhaps the shortest tune in Simon’s canon, is a strange, ethereal instrumental set to the ticking of a timepiece. Elsewhere the album is a judicious blend of the second and third phases of Simon’s career, the first being his period with Art Garfunkel. ‘Street Angel’ and ‘In A Parade’ are both percussive led, ‘Cool Papa Bell’ has the rhythmic pulse of Simon’s South African expedition for Graceland, the title track ‘Stranger To Stranger’ sounds like it could have been recorded for Still Crazy After All These Years, and both ‘Insomniac’s Lullaby’ and ‘Horace And Pete’ see Simon return to his more traditional melodic acoustic style, the notes from his guitar ringing out sharp and clear as spring water. There’s also a couple of brief but lovely guitar instrumentals, ‘In The Garden Of Edie’ and ‘Guitar Piece 3’, and the edition of the album I bought on iTunes also includes a live version of ‘Duncan’, he who in one of Simon’s best ever lines ‘like a dog was befriended’. I’ve been listening to this record for about three weeks now. Quite simply, it’s another top quality piece of work from a master craftsman.